VA - Driven By - Power Ballads (5CD) (2018) - Музыка mp3 - Каталог файлов - Развлекательный сайт! 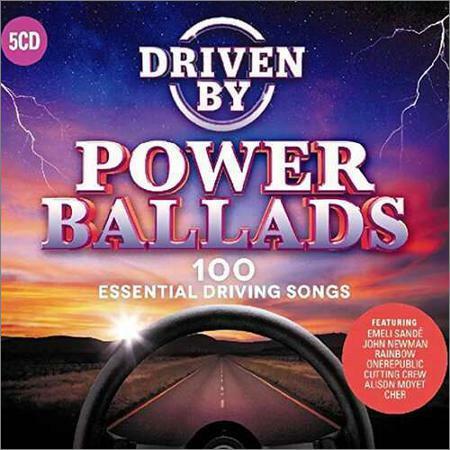 "Driven By Power Ballads gathers 100 of the most popular power ballads from some of the biggest artists of all time. The collection combines the greatest classics of the genre plus newer contemporary hits with no less than 60 air grabbing top ten singles. The classic fist-pumping rock ballads are brought to you by 4 Non Blondes, Cher, Rod Stewart, Asia, Rainbow, Kiss, Bonnie Tyler, Simple Minds, T’Pau plus many more incredible names. The excellent line-up of newer bands includes OneRepublic, Puddle Of Mudd, 3 Doors Down, Hoobastank, Hozier, Blink-182. Also included are the big pop ballads that reigned the charts from Emeli Sandé, James Bay, Ellie Goulding, Jessie Ware, Amy Winehouse, John Newman, Maverick Sabre, the list goes on. An irresistible collection of ballads that will always resonate. Includes 10 Number 1s. Over 40 Top 10s and 15 Top 20 singles. All in their original versions."